I love charming little vignettes in homes. 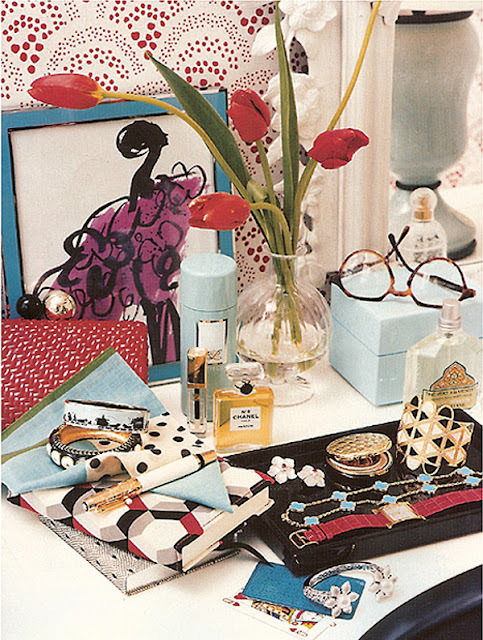 There is nothing more lovely than jewelry or books used as decor, no? I have been collecting these images for a while and kept waiting for the perfect time to share them, why not today? There's a 'vanity' theme that seems to weave itself through all these spaces. 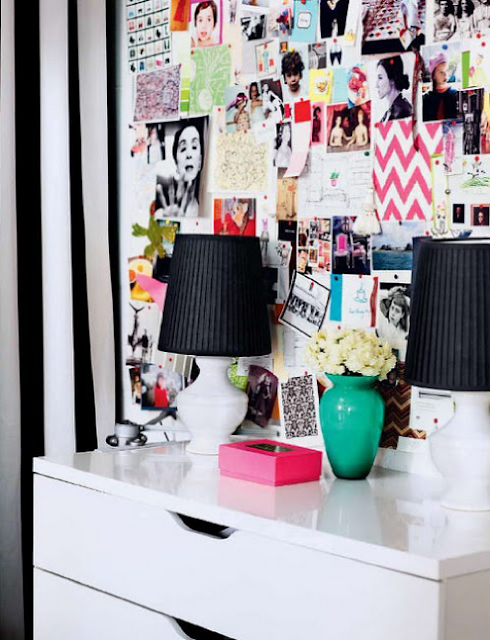 Hope you're inspired to create your own pretty nook in your home! Of course I have to share some fashion that fits perfectly with these lovely, colorful vignettes. It's not a post here at BeB without some fashion! Hope your week goes well. Will try to catch you ON FB this week & catch up. 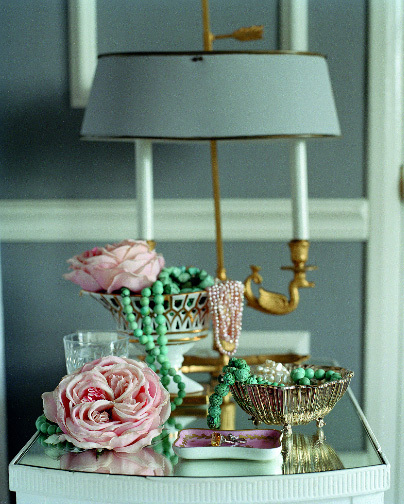 Fabulous images, so glad I found your blog! Loving the bits of black mixed in with the color. 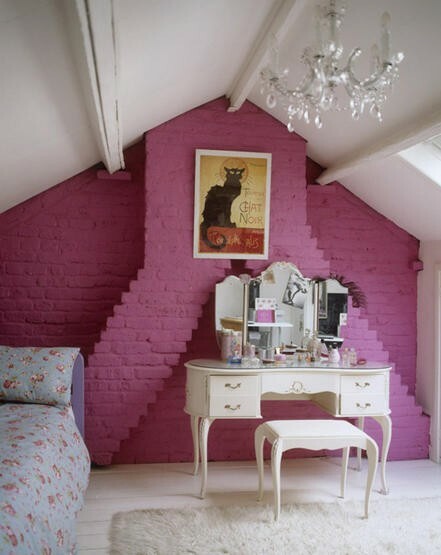 I love the pink bedroom with the brick walls. Absolutely Beautiful!! I love little vignettes but I keep finding coffee cups and toys in the middle of them! 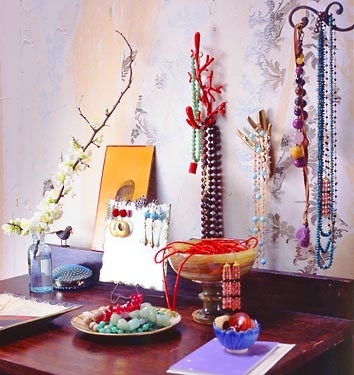 I hang my necklaces on the wall, but not quite so sweetly as photo #3. I'm using that for inspiration. All so beautiful, Julie! You have exquisite taste, girl! Oh how beautiful! 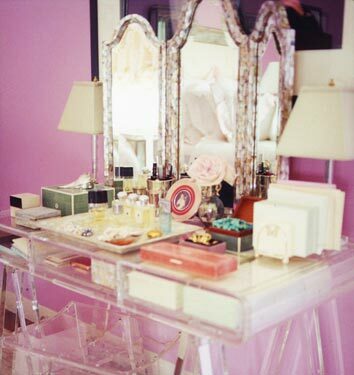 I would take any one of those vanities for my wardrobing room... le sigh. 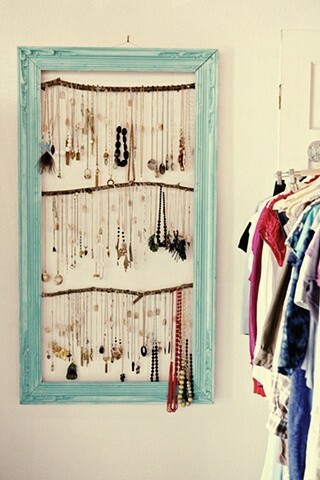 And so creative to put a picture frame around your necklaces on display! 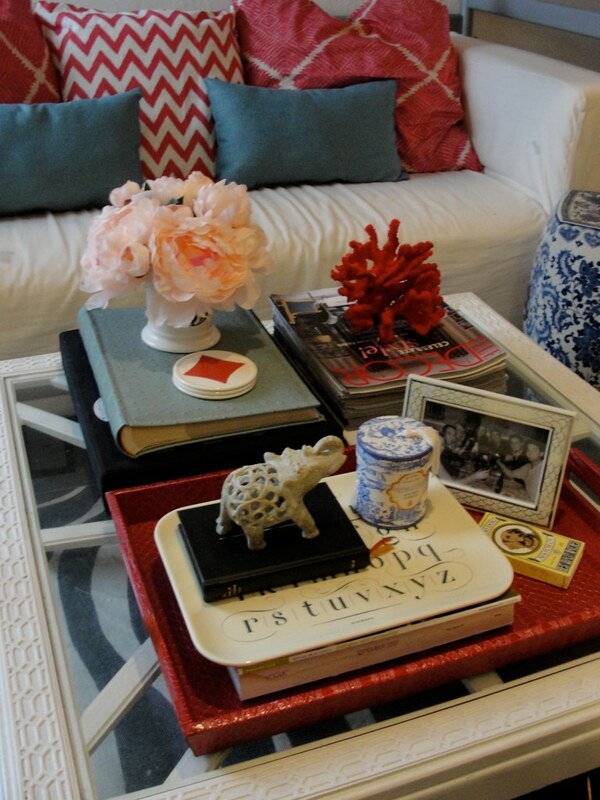 I adore that white sofa with the coral and teal pillows! Just stumbled across your sweet blog ! Love these pics!